NASA has officially called it quits on its record-setting Mars rover Opportunity, eight months after last hearing from the lander. The space agency has been attempting to make contact with the rover since communications went dark following an intense dust storm in 2018. Having issued more than 1,000 recovery commands, this week NASA announced that it would make one last effort to contact the rover. NASA said it would officially declare Opportunity dead if there were no response by Wednesday, February 13. That might sound melodramatic, but Opportunity has been a very important rover in the history of Mars exploration. While there have been multiple rovers (Curiosity and the InSight lander are still active), Opportunity was the longest-lasting lander of them all. It launched on July 7, 2003, and successfully landed on Mars on January 25 the following year. 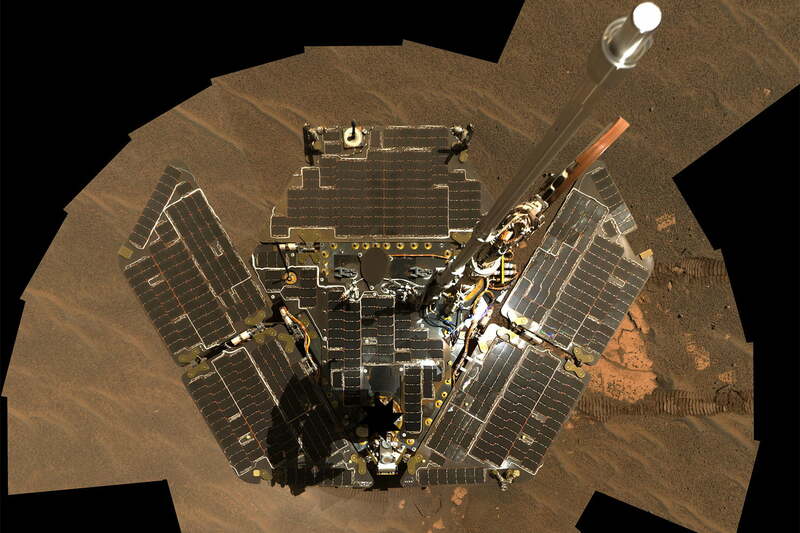 By May 2010, it had surpassed the previous record for longevity of a surface mission. By the end of July 2015, it had set another record for distance covered off-Earth, having traveled around 25 miles. In total, it traveled 28 miles on the planet’s surface. Its identical twin, Spirit, was pronounced dead in 2011 after being stuck in sand on the red planet. NASA last communicated with Opportunity on June 10, 2018. Engineers speculate that the prolonged outage, during which the Martian dust storm stopped sunlight from reaching the lander’s solar panels, scrambled its internal clock. This may have drained the rover’s onboard batteries — although there’s currently no definitive way of finding out for sure. Ultimately, while it’s sad to say goodbye, Opportunity did NASA — and Mars exploration in general — proud. Maybe one day, both Opportunity and Spirit can somehow be transported back to Earth to receive suitable display treatment.